It’s All About Being Heavy-Duty! Heavy Duty Trucks for Heavy Duty Jobs! Getting aggravated by other drivers and feeling stressful on the road is common amongst truck drivers. We can all get mad at times, No? But the thing is, letting your emotions get the best of you out on the highway can cause a lot of harm. How top truck drivers deals with road rage and pressure are the reasons why they are a step above the average drivers. This article contains the top recommendation from professional drivers and authorities to stay calm and composed on the road. Most seasoned truck drivers recommend going 3 mph slower than the traffic, especially when it is heavy. This is an excellent idea because going a little slower than the traffic will help you concentrate better and keep the stress in check, as you won’t be applying those heavy brakes that often. This way, you won’t be tailgating, overtaking, getting the feeling of being held up. So, just kick back, back it down a few miles, chill out, relax and enjoy your ride. If it’s a long route, your favorite music collection can be your best companion on the road. 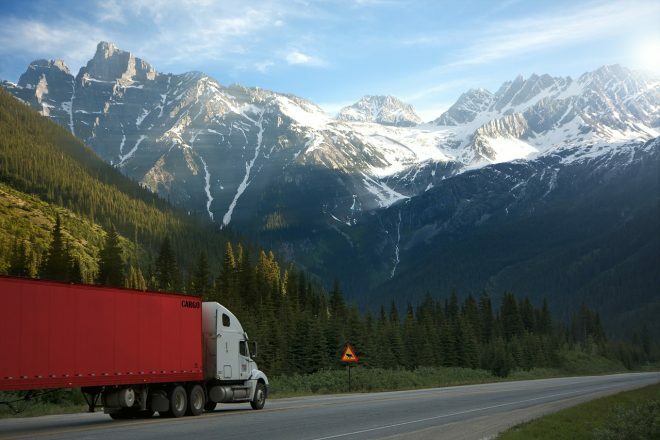 Almost all pro truck drivers say that music helps them deal with the tough traffic conditions, aggressive drivers and be more patient on the road. How you’re feeling before the journey is important. It is recommended that you have a good sleep, well fed and in a good mood before you start the journey. Try to reduce and control the stress before and during the drive. Try not to eat or use your cell phone during the drive. Give your full attention to the road. It is important to be realistic about travel times and expected delays. When you are out there on the road, things like traffic jams, weather conditions, constructions, etc. are not under your control and thus, should not be the reason for stress. Other drivers and how they are driving shouldn’t trigger you. In fact, you should give them the benefit of the doubt, they must have their reasons for driving recklessly. But whatever the reasons are, they are not yours. Don’t rush – no matter what the reason. Always keep in mind that you’re not driving a sports car but a huge truck and keep a reasonably safe distance. Respect the lanes – don’t drive slowly in the left lane. Avoid gestures that could possibly distract other drivers. Sometimes even a nod can disturb other drivers on the road. Try and keep that to a minimum, especially when you’re overtaking or someone else is. Be courteous, if someone is trying desperately to get in front of you, make way and show that “be my guest” type of attitude. Remember that you’re not in a race. Your skill is not speeding but being safe out there. We all have our moments of rage but keep in mind that as a professional commercial truck driver there is a lot resting on you. The beautiful truck you are driving can quickly become an 80,000 pounds killing machine with one small mistake. So, keep your cool, follow everything above and drive like a champion! Is Truck Driving Only For Males? Find out! Subscribe for free and receive invaluable heavy duty towing tips.